Eaton provides market-leading energy storage systems to utilities, independent power producers and power system operators. These mitigate the investment needed for, and the charges and emissions resulting from, peak demand infrastructure. The widespread deployment of systems enabling peak capacity, flexible generation and grid services, coupled with the easy consumption of renewable energy, helps a smarter grid and customers meet environmental targets. We enable acceleration in the adoption of energy storage by delivering the most proven storage solutions in the market. Want more information? Tell us how we can help you and one of our experts will call you back. Ensure grid stability and defer system investments while further integrating renewable energy into the energy supply. Discover Advancion®, one of our Grid scale energy storage systems. The alliance agreement between Eaton and AES Energy Storage enables faster adoption of energy storage technology. The agreement also lays the foundations for the most proven storage solution in the market to meet the growing demand from even more customers in Europe, the Middle East and Africa. Eaton is supplying the Advancion® energy storage system to utilities, independent power producers and power system operators. Advancion® is a fourth-generation energy storage solution built on AES's 10 years of experience and is proven through more than three million megawatt-hours of delivered service. You can access press releases, articles and a media kit about our xStorage Grid Scale portfolio here. We will be happy to help you with any media inquiries. MORGES, SWITZERLAND and ARLINGTON, VA. USA, … Power management company Eaton (NYSE: ETN) and The AES Corporation (NYSE: AES), through its subsidiary, AES Energy Storage, today announced the signing of an alliance agreement under which Eaton will offer AES’ Advancion® energy storage platform as the core of its grid-scale, integrated energy storage systems to help manage grid stability and peak demand infrastructure. The agreement is part of an AES initiative with select leading companies to ensure the global availability of the award-winning Advancion energy storage platform. Eaton will supply the energy storage systems, provide support and ensure long-term operation directly to utilities, industrial and commercial customers, independent power producers and power system operators across Europe, the Middle East, and Africa (EMEA). The ambitious goals set by many countries, especially within the European Union, and confirmed during the 2015 Paris Climate Conference (COP21), call for an ever larger role for renewables in the power supply mix, and European countries are leading this change. Energy storage has become a key factor in helping countries manage both grid stability, as renewable energy sources continue to be integrated into the grid, as well as peak demand, limiting the need to build dedicated peaking power plants and minimizing CO2 emissions. The energy storage market is therefore entering a new growth phase and Navigant Research projects that more than 11 GW of energy storage capacity will be installed annually by 2020 in 22 countries. 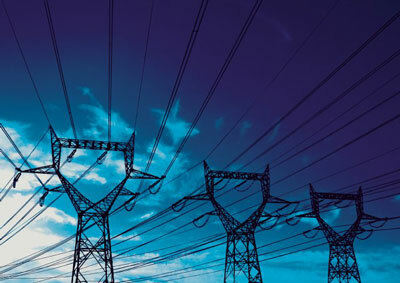 “With more than 50 years of experience helping customers manage energy and supporting utilities in Europe, the Middle East and Africa, Eaton has a long track record of working with its customers to automate, protect and optimize a secure, cost-effective electrical grid,” said Cyrille Brisson, Vice President of Marketing, for Eaton’s Electrical business in EMEA. “Together, Eaton and AES will be able to greatly impact the energy landscape in EMEA. By providing market-leading, innovative energy storage systems to commercial, industrial and utility customers, we will be able to mitigate the investment needed for, and the charges and emissions resulting from peak demand infrastructure. The widespread deployment of systems enabling peak capacity, flexible generation and grid services, coupled with the easy consumption of renewables, will help a smarter grid meet environmental targets,” added Brisson. AES provides affordable, sustainable energy solutions through its diverse portfolio of distribution businesses and generation facilities. AES has integrated energy storage into eight different power markets and AES’ energy storage solutions represent the world’s largest advanced energy storage fleet, with 116 MW in operation and three million megawatt-hours of delivered service. Advancion is also now powering the largest fleet of advanced energy storage in Europe, with the recent completion of two Advancion arrays in the Netherlands and Northern Ireland. Advancion is the most proven energy storage solution available and Advancion 4, the latest design introduced in November 2015, has an industry-leading compact footprint, optimized design and a patented distributed control system that enables customers to maximize revenue, reduce operating costs, and meet the highest levels of system reliability. For further information, contact EnergyStorage@Eaton.com or Advancion@AES.com. The AES Corporation (NYSE: AES) is a Fortune 200 global power company. We provide affordable, sustainable energy to 17 countries through our diverse portfolio of distribution businesses as well as thermal and renewable generation facilities. Our workforce of 18,500 people is committed to operational excellence and meeting the world’s changing power needs. Our 2014 revenues were $17 billion and we own and manage $39 billion in total assets. To learn more, please visit www.aes.com. Follow AES on Twitter @TheAESCorp.